NTT Data has performed a 12-day field study with the Institute of Software, Chinese Academy of Sciences to test the capability of big data-based simulation platforms to regulate traffic signals and mitigate traffic congestion in the city of Guiyang in China. NTT Data said Monday it conducted the study with ISCAS from Sept. 19 through Sept. 30 and used 220 signals at 19 intersections to test the optimized traffic signal settings. According to the study, the use of big data simulation tools resulted in an average reduction of 7 percent in congestion-related time delay and an average increase of 6.7 percent in the number of vehicles that pass through intersections. 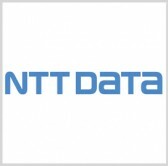 NTT Data plans to integrate its big data simulation platforms with Guiyang’s traffic control systems to facilitate the deployment of a commercial signal control platform designed to mitigate traffic congestion. The company seeks to increase its worldwide smart-city business revenue to approximately $100 million by fiscal 2020.